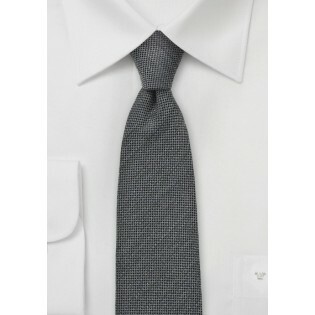 This charcoal gray skinny tie is the perfect choice for the modern businessman. The skinny cut, wool fabric, and dark gray colors, make this an excellent choice for the Fall and Winter days. 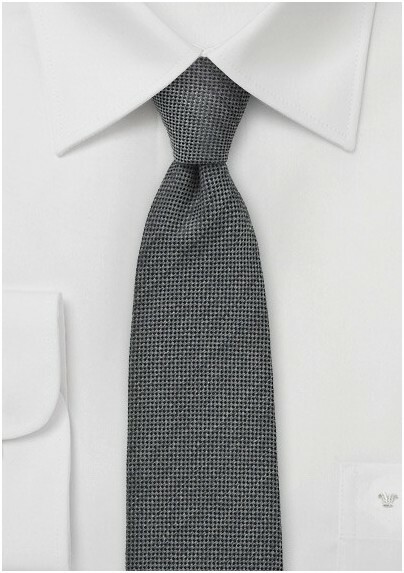 To match this tie we suggest patterned dress shirts in gray and white (think stripes, gingham, or window-pane check). Also, because the worsted wool gives the tie a more casual look, it is also an excellent accessory for dark wash denims and modern sport coats.